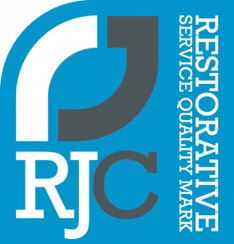 The RJC is pleased to announce that Monmouthshire and Torfaen Youth Offending Service has been awarded the Restorative Service Quality Mark (RSQM) for its restorative work. The RSQM is a badge of quality that guarantees that a service provides safe, high quality restorative practice which meets the six Restorative Service Standards. Monmouthshire and Torfaen Youth Offending Service joins other RSQM awardees – in sectors ranging from criminal justice through education to care – delivering high quality restorative processes. “As an organisation we have always tried to put victims and restorative practice high on our list of priorities. Learning we had passed the RSQM was confirmation that we are definitely on the right track. As a service we feel proud that we have achieved this award.